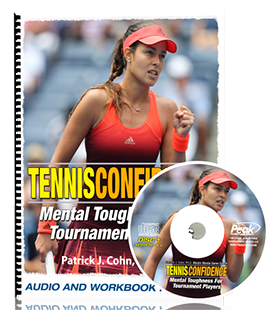 In “Sports Psychology Sessions with Doc,” Dr. Patrick Cohn answers a question from a competitive junior tennis player who wants to perform more freely in matches. Are you a young tennis player that tends to perform really well in practice bu then feels a little but more controlled and tight in matches? First you need to identify what’s changing for you from practice to tournaments. Often, it is about fear of failure. If you aren’t playing freely, you are playing tight and controlled. How can you overcome fear of failure to play more freely? 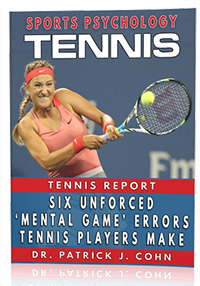 Watch the video to see what mental game tips Dr. Cohn gives to tennis players to bring their practice game to matches and play more freely.